May 6th in Theme Lists, WordPress Themes by Wordpress Jedi . 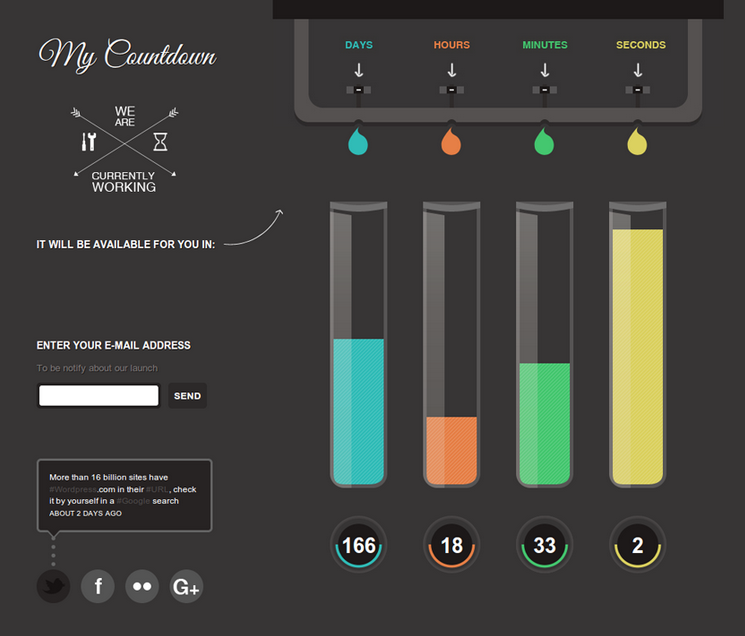 WP Circular Countdown: comes with an animated countdown and a clean layout. It is Twitter friendly and integrates Google Maps. It has progression bars too. This is very useful for relaunching sites. 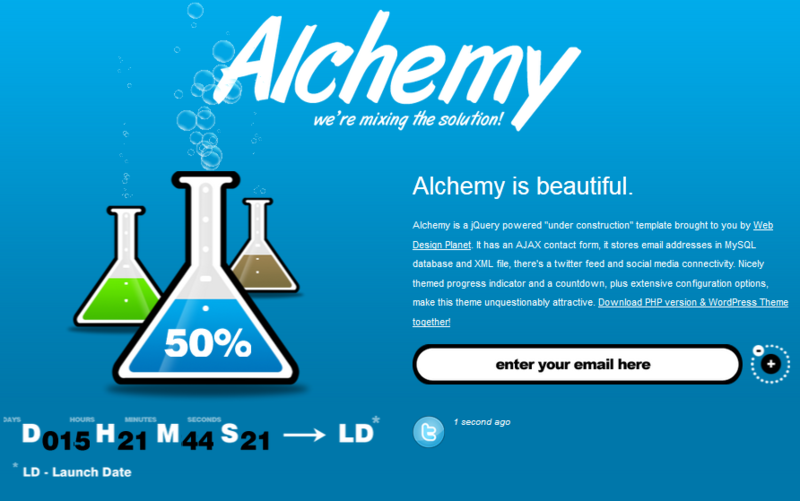 Alchemy: a cool theme/template for your upcoming product launches. It has 12 color variations and an adjustable jQuery countdown feature. You can link this to your Twitter or Facebook account. It has an AJAX contact form too. 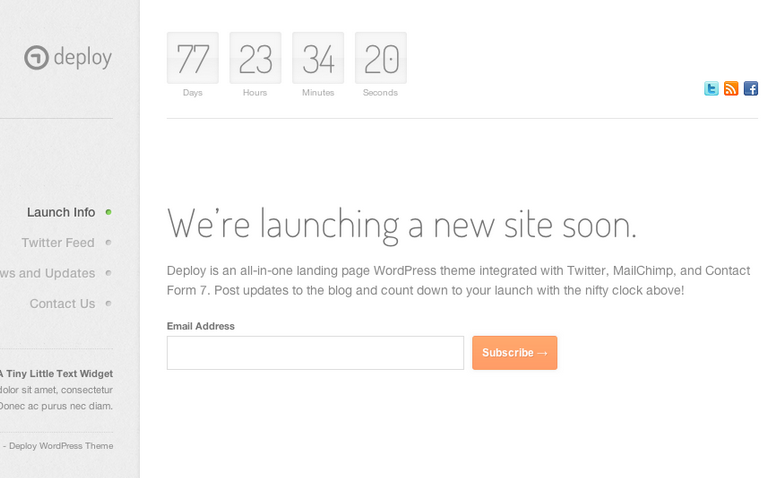 Deploy: a versatile landing page theme for WordPress. It has 3 custom backgrounds with MailChimp and Twitter integration. You get social media icons, blog/comment functionality, and a countdown clock. Landis: a one page under-construction theme for your site. It is useful for those of you with product launches coming up. The template looks clean and does what it promises. 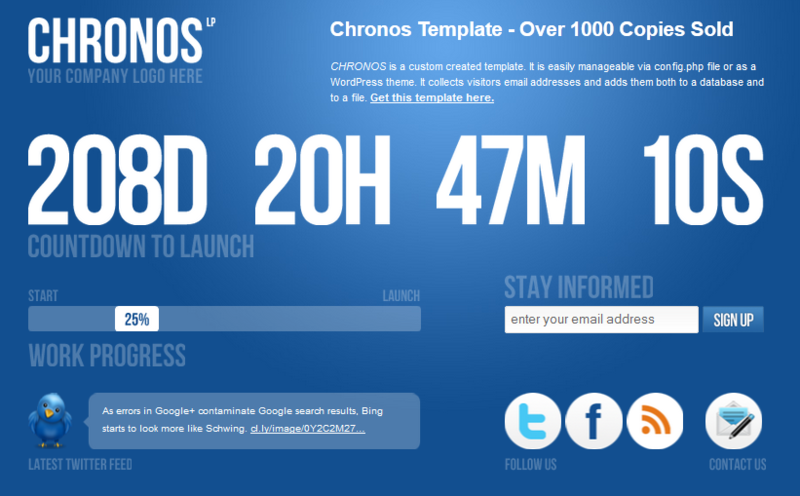 Chronos: a beautiful under construction theme and template. It has 8 different versions. It has a cool countdown timer. Blend for WordPress: enables you to create an under-construction micro-website for your business. It has a countdown and supports custom posts (you get 4 custom post types). 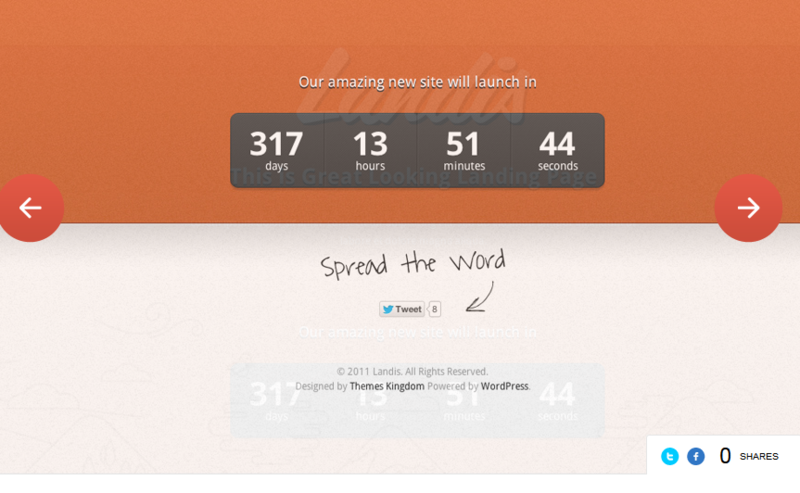 MyCountdown: a cool coming soon template for WordPress. It offers 7 colors, Google Maps, social media integration, and an adjustable jQuery countdown. 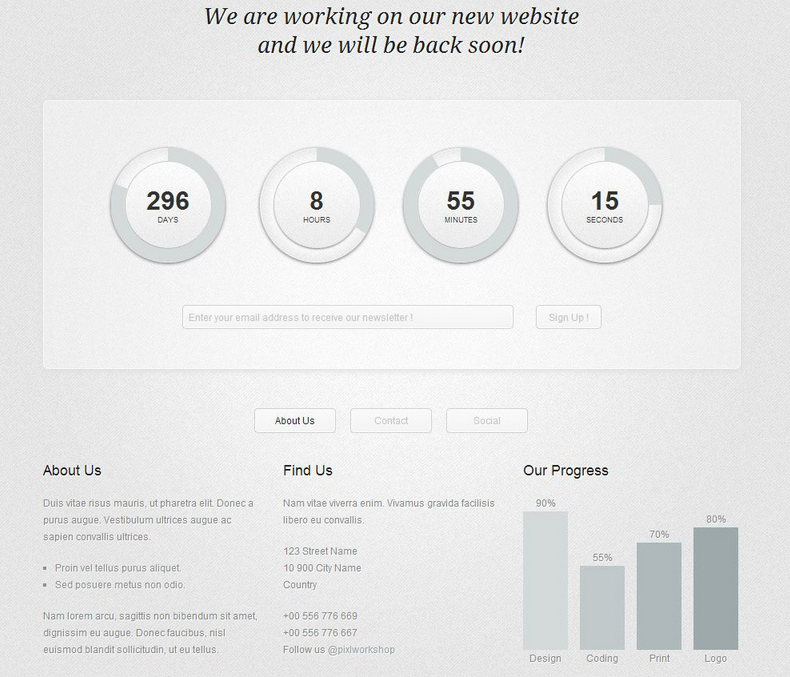 You don’t necessarily need a fancy coming soon theme to launch your new products. But the above templates allow you to make a better first impression on your prospects.